3) a link to your existing reviews–don’t worry, I’m not going to check their style or content; I’m just verifying that they exist. The first five people who contact me and meet the qualifications will receive a review copy. This is an excerpt from a friend’s just-published novel. 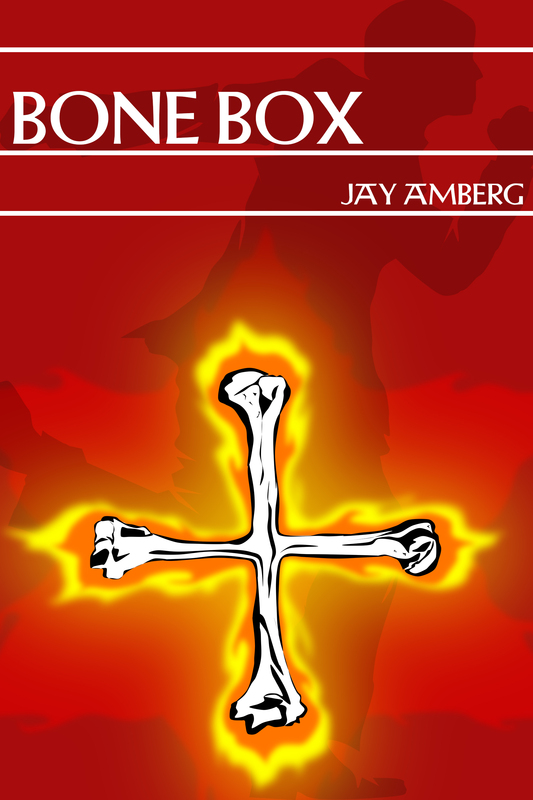 I’m happy to announce that Amika Press has just published Bone Box, my thriller/mystery novel set at an archaeological site in Turkey. It is available at Amazon and the Amika Press website, on Kindle, and coming soon to Barnes & Noble, iBook, Kobo and Nook. Here is an excerpt from the book’s second chapter. I would love to find out what you think. Please let me know. This is a friend and colleague, Jay Amberg, standing on the site where much of his upcoming thriller Bone Box is set. Photograph by Mark Henry Larson. In this photo, I’m standing at the foot of Ayasuluk Hill in Turkey, where much of my novel, Bone Box, plays out. 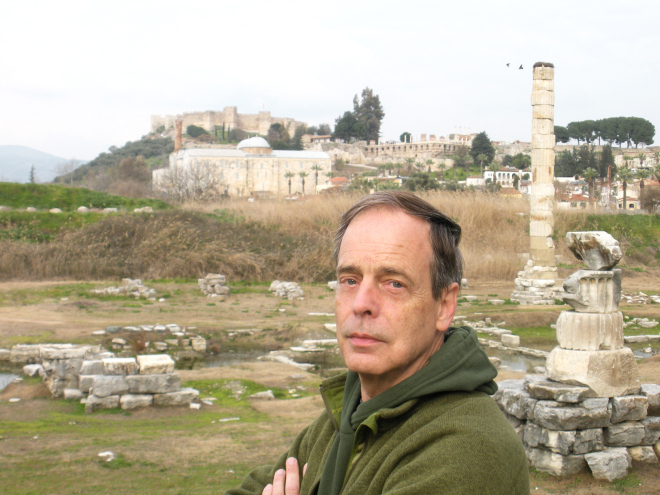 The column over my left shoulder is from the Temple of Artemis, one of the Seven Wonders of the Ancient World. The Saint John’s Basilica archeological site is directly above my head. The 7th century citadel stands at the top of the hill above the İsa Bey Mosque built in 1375. Humans have lived on this hill at least since 6000 BC. From the walls of the fortress, you can look down through Western history at the cathedral’s ruins, the mosque, the remnants of the temple, the ancient city of Ephesus, and the Aegean Sea.